Former athlete remains on bail following appeal court decision to overturn culpable homicide conviction. Oscar Pistorius will be sentenced in June for the murder of Reeva Steenkamp, a court in South Africa has confirmed. The former Paralympian’s culpable homicide conviction – and its five-year prison sentence – was overturned by the supreme court in December 2015, when appeal judges instead found him guilty of murder. On Monday, Pistorius was in court in Pretoria as Judge Aubrey Ledwaba, who presided over an earlier bail hearing, told him he would face a fresh sentencing hearing from 13-17 June. Pistorius spoke only to confirm that he understood the judge’s decision. The athlete, who is living at his uncle’s home in Pretoria, will remain on bail until the new hearing. His lawyer told the court that his tracking device, which he wears on his wrist, had malfunctioned several times, alerting him that he had broken bail conditions while he was in fact at home. Pistorius had always denied intentionally killing Steenkamp, his girlfriend, in his Pretoria home in the early hours of 14 February 2013. He insisted throughout his lengthy trial that he had mistaken her for an intruder, shooting four times through a locked toilet cubicle door, killing her instantly. At his original trial, Judge Thokozile Masipa accepted this version of events, ruling that there was no evidence that Pistorius had wanted to kill Steenkamp, but that his actions had been negligent. But the supreme court found that Masipa had wrongly applied the legal principle of dolus eventualis, which hinges on whether an accused should have foreseen the outcome of his actions. Pistorius “must have foreseen” that firing into the door could cause the death of whoever was behind it, the judges said. An attempt by Pistorius’s legal team to have that finding thrown out by the constitutional court, South Africa’s highest judicial authority, was denied in March and he has no further avenues of appeal against the conviction. The minimum sentence for murder is 15 years in prison, but the defence is likely to argue that Pistorius’s disability – both his legs were amputated as a young boy – and the time he has already served in jail should be taken as mitigating factors. Pistorius was originally handed a sentence of five years for the culpable homicide conviction and served just under a year in prison. He was released under house arrest in October 2015, before the state successfully challenged the verdict in the supreme court. It is expected that Masipa will be the judge who hands down the new sentence in June. 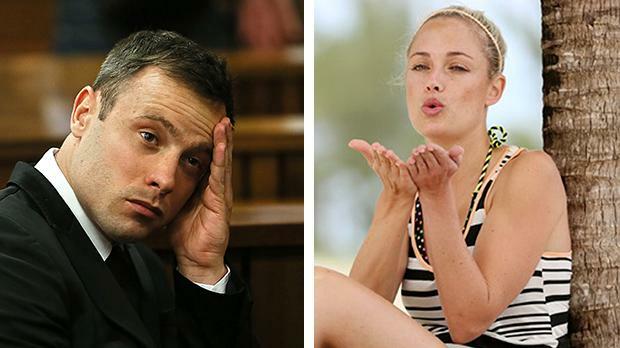 Re: Oscar Pistorius to be sentenced in June for murder of Reeva Steenkamp. Father of Reeva Steenkamp, who was too unwell to attend the original trial, could appear at the Paralympian’s sentencing hearing this week. Barry Steenkamp, the father of murdered model Reeva Steenkamp, could give evidence for the first time in the trial of Oscar Pistorius this week. Steenkamp was too unwell following the death of his daughter to attend Pistorius’s trial and watched it on television from home. His wife June sat in the courtroom through weeks of harrowing testimony. On Monday, the original trial judge, Thokozile Masipa, will hear pre-sentencing arguments at Pretoria high court. The Sunday Telegraph has reported that Steenkamp wanted to take the stand later this week to testify at the former Paralympian’s sentencing hearing. Pistorius is preparing to be sentenced for an upgraded murder conviction, after the supreme court in December 2015 overturned the manslaughter verdict. Murder in South Africa carries a mandatory life sentence with a minimum of 15 years. Pistorius has been denied the right to appeal. However, his sentence could be reduced to take into account time already served. “He has served one year in prison and has been effectively on probation or correctional supervision,” Stephan Terblanche, a law professor at the University of South Africa, said. Pistorius killed Steenkamp in the early hours of Valentine’s Day 2013, saying he mistook her for an intruder when he fired four times through the door of his bedroom toilet. In March, Pistorius’s lawyers failed in their legal bid to reverse a supreme court of appeal judgement that upgraded his original conviction from culpable homicide – the equivalent of manslaughter – to murder. He was released from jail in October 2015 to live under house arrest at his uncle’s mansion in Pretoria after serving one year of his five-year original sentence. Since being convicted of murder, he has been on bail and allowed to leave the house at set times, but not travel further than 20km (12m) without permission. The case at the high court in Pretoria was scheduled to start on Monday and last until Friday, though the sentence could be handed down earlier. Pistorius was last seen in public at a court hearing in April when the date of the sentencing was announced. I have heard it all now, poor Oscar Pistorius is a "broken" man and should not be sent to jail, a psychologist has said at the South African athlete's sentencing hearing. Well that's OK then, they should let all murderers out now and give them community service. What I really find disturbing however is that the original trial judge, Thokozile Masipa, is still presiding over these proceedings and will hear arguments from both prosecution and defence this week. This after she made a pigs ear of the original verdict and found Pistorius guilty of the much lesser charge of manslaughter. Her decision later being found wanting by the Appeal Court, overturned and a murder conviction imposed. I have no faith in Masipa, don't know what everyone else thinks? No wonder Pistorius is disturbed, this messing around should end. subjected to threats and personal attacks by people who disagreed with the verdict. I wish they would just get on with it and hand down the sentence. Then at least Pistorius can adjust to whatever is thrown at him. Not knowing is the soul destroyer. I hope he gets 20 years. He made a video in his former apartment, and he was more than able to get around it, and used to doing so. It was a shameful thing to do in front of the Court and his murdered victims family.